I'm participating in @ketocollabs #ketofied Valentine's Day Challenge on Instagram, and our first recipe category is commercial candy. I love candy (okay, well, who doesn't!?). 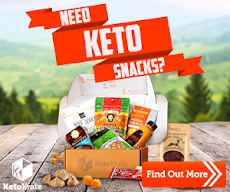 There's lots of keto candy recipes I've seen before from Reese's to Heath Bars to Snickers and Almond Joys. But there's one candy I've never seen ketofied before: Raisinets. So, of course I wanted to attempt a low carb version of Raisinets. Given raisins aren't keto-friendly of course, this recipe requires first making "raisins" (ie sugar free cranberries). They turned out awesome, and I really want to take these to the movie theater since that's where Raisinets belong. 8) Store in Tupperware in fridge until ready to cover in chocolate. 9) In a microwavable bowl, mix solid coconut oil and Lily's chocolate chips. 10) Melt the coconut oil and chocolate, ensuring not to burn the chocolate. I did the following: microwave for 25 seconds. Remove from microwave and stir. Return to microwave for another 25 seconds. Remove from microwave and stir. Return to microwave for a final 10 seconds. Remove from microwave and stir. 11) Now it's the fun part: chocolate covering time! In total, you should coat each "raisin" three times, allowing the coat of chocolate to set in the fridge in between dippings. An easy way to do this is put a strainer over a bowl and pour the chocolate over the "raisins." Then you can continue using the remaining chocolate in the collection bowl for future pours. 12) Place coated "raisins" on wax paper. Allow to fully solidify in the fridge.